Logan City Council contracted Trico Asphalt to upgrade a section of road pavement between Ison Road to Thompson Road on Goodna Road, Greenbank. This 550m section of pavement is subject to flooding during heavy rainfall , the project was Supply, Deliver lay and compact a 220mm layer of Plant Mixed Foam Bitumen Stabilised Roadbase, Approximatly 1900T of Foam Bitumen was grader placed to survey , work was completed over 1 weekend between hours 7am – 4:30pm with traffic opened up first thing Monday morning. 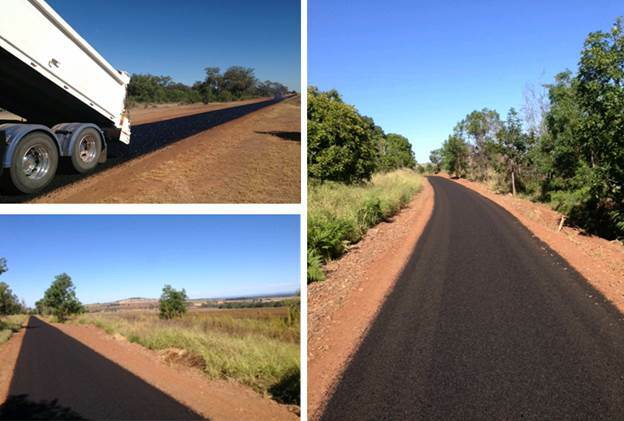 RPQ were contracted to reseal the main road of Stradbroke Island from Dunwich to Point Lookout. RPQ had to design and construct a 14/7mm Double/Double PMB reseal on the main alignment with an additional trial of Triple/Triple seal designs in areas of high stress such as intersections and road curves. RPQ Engineers and Supervisors worked closely with QTMR, RoadTek, local residents and the Quandamooka Aboriginal people to deliver a high quality product and personalised service. As RPQ have undertaken local council reseal and construction programs on various islands throughout the years, we have proven experience that helped the team to overcome the logistical and unpredictable weather challenges the islands can possess. This previous experience, coupled with RPQ’s extensive knowledge base and the use of technical and historical data contributed to the successful completion of the project. Reseals of roads in Wide Bay and Burnett District which included Implementation of Traffic management, Site preparation, Supply and spray of 800,000 litres Polymer Modified Binder and 600,000 litres C170, 30,000 litres cutter and the Supply, load, cart spread and rolling of 9000 tonne pre-coated aggregates all in conjunction with line markers. Project has challenges with pavement temperature along tree lined roads in the Bunya Mountains area. The roads are popular with tourist traffic and small local business. Community consultation, traffic management and preference to small local business key to the success of this project. RPQ is proud to have been involved with the successful completion of 44km of primer seal followed by 44km of PMB top coat seal. Working directly with local council and contractors, the finished seal is a high quality, smooth surface for bike riders. This project was part of the D'Aguilar Highway safety improvement program and involved pavement widening and strengthening west of Wamuran. Trico Asphalt established production equipment and a site laboratory in the nearby Bracalba Quarry and processed the foamed bitumen stabilised roadbase for this project. In total approximately 23,000 tonnes was supplied to this difficult project that had very restrictive working area and high demands from traffic. An excellent working relationship between the technical and operational areas of QTMR, McIlwain Civil and Trico Asphalt enabled the project to run smoothly and a high quality project was delivered. The scope of the project was re-alignment, widening and re-shaping the Centenary Highway to provide better traffic flow and rideability. The project consisted of a full grid pick up of existing levels by a survey to provide detailed paving plans throughout the sub layers. Profiling was required to remove fatigued SMA and seal membrane, along with deeper design milling, as per design plan. Then place multiple lifts of DG20HM, to conform to MRS 31 specification. Design level to 100mm below FSL was achieved; binder layer of 50mm applied followed by an S4.5S seal to MRS11 specification. Wearing course of SMA14 (MRSS548 specification) placed by travelling reference beam and material transfer vehicle, to achieve rideability and FSL. The project site was part of road upgrade project that was being completed by Logan City Council to accommodate future residential growth in this area. A 1 kilometer section of this road becomes inundated during heavy rainfall and LCC required a pavement material that would withstand these conditions. TRICO Asphalt were contracted to supply and place a plant mixed foam bitumen stabilised roadbase in a 150mm layer to this area. The material was placed with grader and cut to survey levels. This was completed in 3 days. RPQ Spray Seal undertook our first Airport Spray Seal project in conjunction with Ostwald Bros first full Airport rehabilitation project. RPQ’s contribution to the project was to design and apply a three coat seal incorporating a 14mm & 7mm C170 Double/Double seal and then applying an Emulsion based third coat with a processed sand. The sand was required to be entirely dry to allow for the successful application of the product to the emulsion binder, this was achieved by transporting a course sand to the Swanbank Asphalt plant and then processing the sand through the plant until completely dry, the final product was then transported to the jobsite where it was protected from the elements until used. The seal design required an increase in both Binder and Aggregate application rates due to the unique traffic effects of light aircraft, the construction process involved trialling the application rates to ensure that theory worked in practice. The end result is a sealed surface that elicited commendation from the principal and local authorities alike. RPQ Spray Seal were appointed principal contractor for the SW QLD reseal program. Logistically difficult works due to the huge area covered by the contract. Individual sites were up to 500km apart each requiring distinct staging and stockpile sites. Program involved spraying over 1,300,000 litres of S0.3B, S0.7S and M500/170 Multigrade binders. Approximately 7,500m3 of aggregate was supplied and spread. Additionally 14,500m2 of geotextile fabric was incorporated into one work section. As part of the NDRRA flood repair works, the RPQ Group were contracted for the rehabilitation and reconstruction of the Warrego highway pavements at 7 separate sites between Marburg and Gatton. Pavement design consisted of DG20HM at varying thickness, followed by DG14HS binder layer & DG14HS wearing course, including SAMI seals, seals and primes where required. Approximately 120,000 tonnes of AC pavement and 265,000 m2 of primes and seals laid. Contra-flow conditions on several sections of the project enabled greater productivity. Trico Asphalt were able to manufacture a plant-mixed foamed bitumen base material incorporating virgin and recycled materials. This was manufactured and transported to site by RPQ for the Minden Range works. The project site is located immediately south of the Harwood Bridge (Clarence River) on the Pacific Highway. The initial scope of the Farlow’s Flat project was to raise the existing height of the road pavement above localised flood levels. In some areas of the project this would equate up to approximately 1.5 meter increase in the pavement height from the existing road surface level. Additional work also included the upgrade and re-alignment of South-bound and North-bound access ramps to the Pacific Highway for the Maclean – Yamba interchange. Road Fleet Service (RFS) was the contractor awarded the delivery of the Farlow’s Flat project. RFS is the construction and maintenance delivery arm of the New South Wales Roads and Maritime Service (RMS). An alliance between the client RMS and RFS was established to administer the delivery of the project. TRICO Asphalt was invited as the sub-contractor to provide foamed bitumen stabilisation of the roadbase used in this challenging project as the highway had to be raised under the live traffic of 14,000 vehicles per day with over 30% heavy vehicles. The foam bitumen stabilised roadbase proved highly successful and the scope of the project was increase with another 2 stages of adjoining sections of the Pacific Highway included. 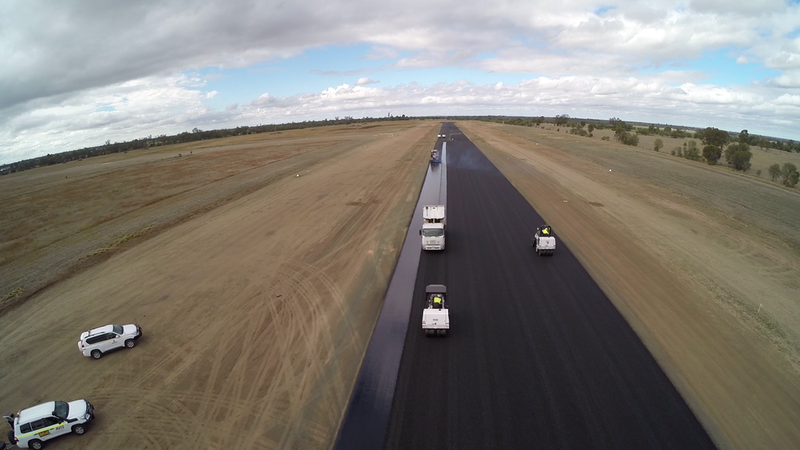 In the end over 64,000 tonne of foam bitumen stabilised roadbase was used in the 3 stages of the project. Within 12 months of the completion of the project, the site has been flooded twice and the pavement has held sound performing exceptionally well with no damage despite being submerged for several days on two occasions. The project required an asphalt overlay of Cunningham's Gap in various sections with profiling and shape corrector to new levels. Following pavement repairs, a S4.5S spray seal was applied followed by an asphalt overlay of DG14 A5S on the steep & difficult Cunningham's Gap section of the Cunningham Highway. Reinstatement of guard rail and line marking followed. RPQ were the Principal Contractor, appointed by QTMR, having responsibility for traffic management through the work site, as well as the construction of the works. 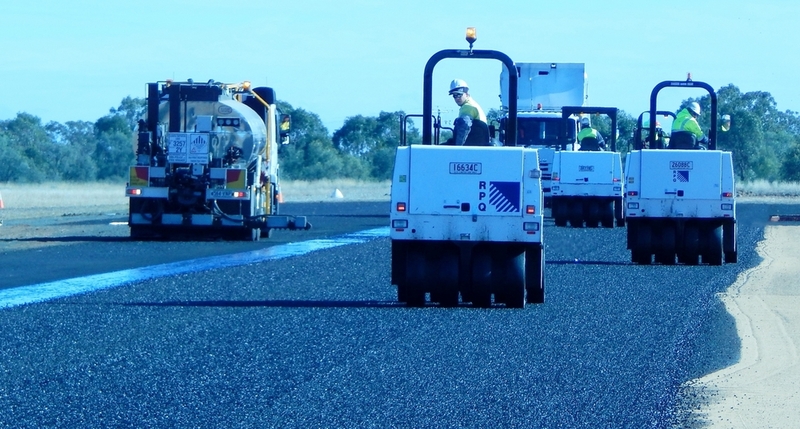 RPQ won the public tender to complete asphalt, spray sealing and profiling works on the Northern Busway project at Herston. 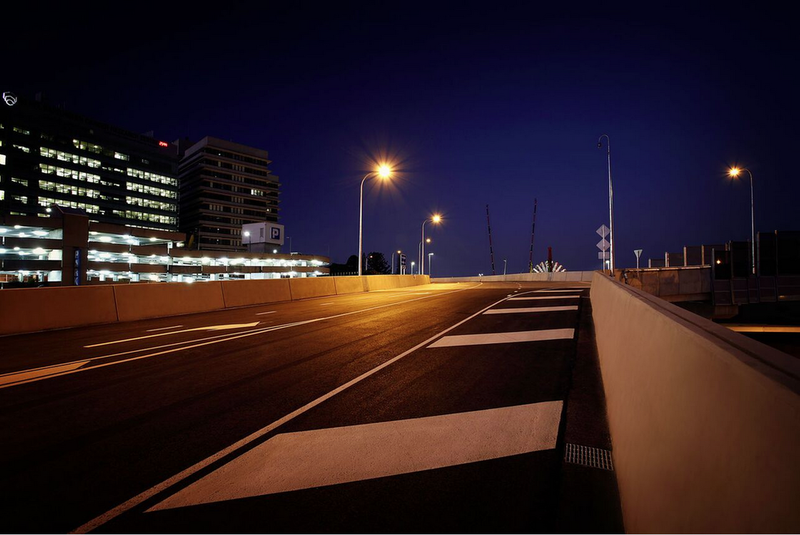 The specifications for the project included the spraying of over 7,000m2 of bitumen waterproof membrane, the asphalt surfacing over the deck wearing surface and the profiling of existing pavements on Bowen Bridge Road. 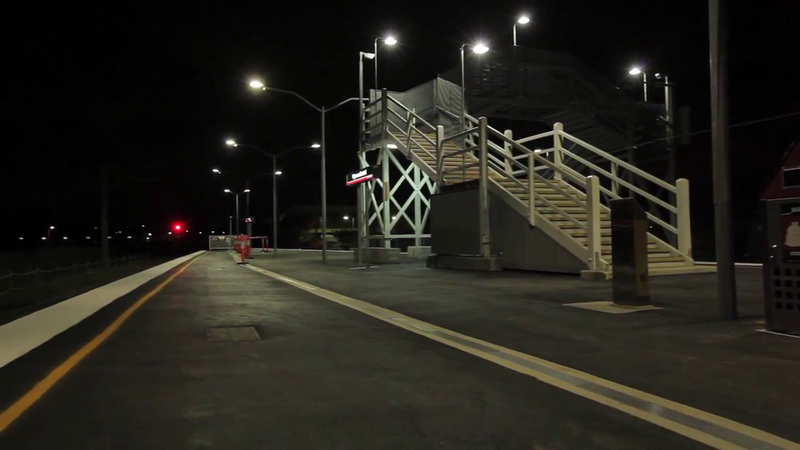 The project commenced in April 2009 and was staged over a six month period. Construction was extremely difficult with very restricted access and congested work areas.